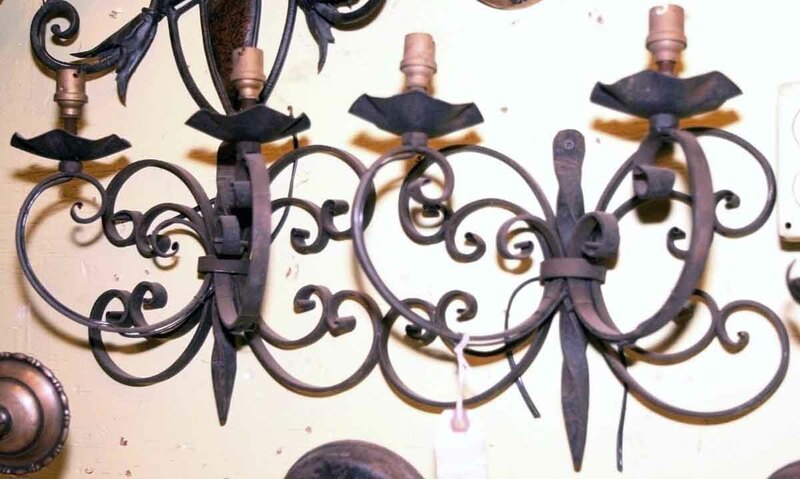 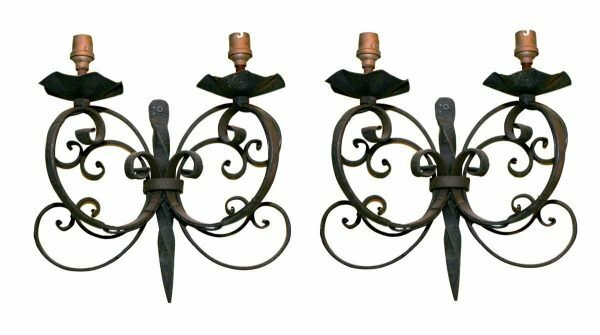 Double arm wrought iron sconces. 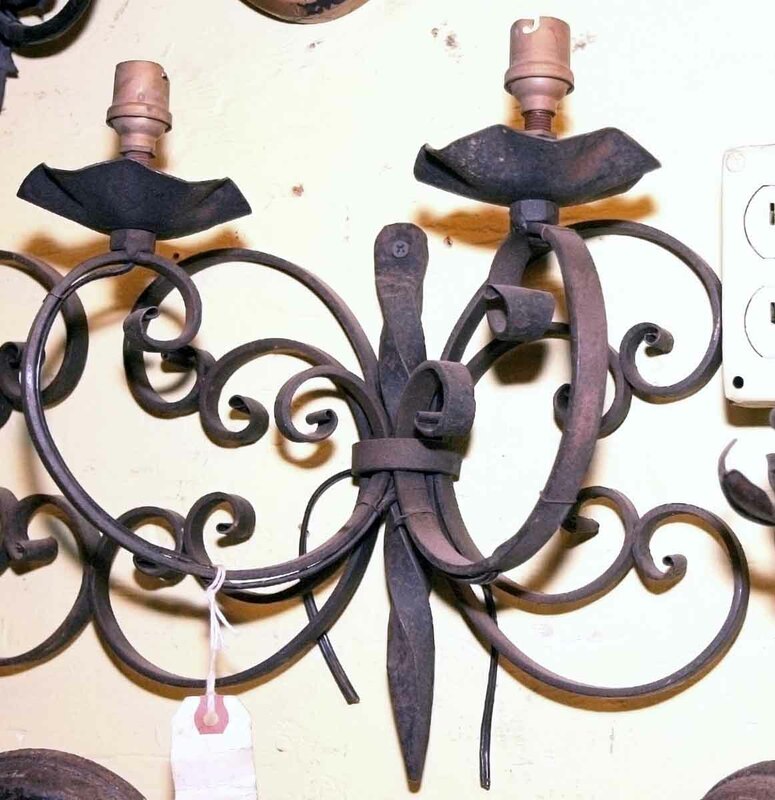 Rewired for standard light socket. Sold as a pair.